Incoming students may receive credit toward graduation for work completed before enrollment at Reed. internationally recognized academic programs, such as the International Baccalaureate, Abitur, or GCE A-levels. Credit at Reed is based on a unit system. One Reed unit is the equivalent of four semester hours or six quarter hours from another institution. Students who have attended college full time should consult the admission office's transfer guide for a more detailed description of transferring to Reed. Approval of AP credit varies from department to department; however, all those granting credit require scores of 4 or 5.
Credit for AP tests will apply toward the 30 units of academic credit needed for graduation, but cannot be used to meet any other Reed College requirement. Students are generally awarded one unit of credit for each AP exam. No student may receive more than a total credit of eight units by means of AP or other exams. Art, History For scores of 4 and 5, one unit of credit is granted. Students are considered individually for admission to advanced classes. Art, Studio/Portfolio For scores of 4 and 5, one unit of credit is granted. Students are considered individually for admission to advanced classes. Biology/Environmental Science One unit of credit is granted for scores of 4 and 5 on the biology and environmental science exams. There is no advanced placement, however, because the department believes that all biology students should be exposed to the instructors, concepts, and methods in Reed's first-year, team-taught course. Chemistry For scores of 4 and 5, one unit of credit is granted. Students who wish to pursue chemistry at Reed normally enroll in Chemistry 101/102, but this can lead to AP credit being rescinded. For more information, visit the Chemistry Department academic pages. Chinese, Language and Culture One unit of credit is granted for scores of 4 or 5. Course placement is based on the exam administered by the department before registration in the fall. Computer Science One unit of credit is granted for scores of 4 or 5 on either the Computer Science A or AB exam. A student may not receive credit for both the AP test and Computer Science 121. Economics, Micro/Macro One-half unit of credit is granted for scores of 4 and 5 for either or both of the economics exams. Advanced placement, however, is not granted on the basis of the AP exam, but is determined instead by a placement exam administered by the department before registration in the fall semester. English, Language/Literature One unit of credit is granted for scores of 4 or 5 on the literature exam. No credit is granted for the language exam. Generally, first-year students are not eligible to take a 200-level English course, and 300-level courses are closed to first-year students, regardless of AP credit. French, Language/Literature One unit of credit is granted for scores of 4 or 5 on either or both French exams. Course placement is based on an exam administered by the department before registration in the fall. German, Language One unit of credit is granted for scores of 4 or 5. Placement is determined in consultation with faculty members and through an exam administered by the department before registration in the fall. Government & Politics, United States/Comparative One unit of credit is granted for scores of 4 or 5 on either or both of the government and politics exams. This credit may not be used for group, divisional, or departmental requirements but may serve to satisfy prerequisites. Petitions must be received by the department by the end of the sophomore year. Read more information on prerequisites. History, United States/European/World One unit of credit is granted for scores of 4 or 5 on any of the history exams. Advanced placement is not relevant, as the history program is not sequentially arranged and the department does not offer courses on the AP model. First-year students may enroll in upper-division (300-level) history courses only by the consent of the instructor. A student may not receive more than two units of AP history credit. Human Geography One unit of credit is granted for scores of 4 or 5 on the Human Geography exam. Japanese, Language and Culture One unit of credit is granted for scores of 4 or 5. Latin, Vergil/Literature One unit of credit may be granted for either of the tests, but not for both. A student may not receive credit both for the AP test and for the corresponding course at Reed. Placement is determined by an exam administered by the department before registration in the fall semester. Mathematics, Calculus AB/BC One unit of credit is granted for the score of 5 on the AB exam, or scores of 4 or 5 on the BC exam. Credit will not be granted for both of the calculus exams. A student may not receive credit for both the AP test and Math 111. Placement is determined in consultation with faculty members. Reed does not grant credit for the Calculus AB Subgrade. Music, Theory One unit of credit is granted for scores of 4 or 5. Placement in Theory I or II is determined by an exam administered by the department before registration in the fall. Physics, B, 1, 2 (non-calculus)/C (calculus) Credit is not granted for the Physics 1, 2, or B exams. For scores of 4 or 5 on the Physics C exam (Mechanics or Electricity and Magnetism), one unit of credit is granted for either or both. Students who wish to pursue physics at Reed are expected to enroll in Physics 101/102 or seek advanced placement by taking the placement exam. Psychology One unit of credit is granted for scores of 4 or 5. There is no advanced placement, however, as previous work in psychology may not be substituted for the introductory or core courses at Reed. Spanish, Language/Literature One unit of credit is granted for scores of 4 or 5 on either or both Spanish tests. Placement is determined by an exam administered by the department before registration in the fall; results of the AP and achievement tests, when available, are also considered. Statistics One unit of credit is granted for scores of 4 or 5 on the statistics exam. A student may not receive credit for both the AP test and Math 141. The course was not used to meet high school graduation requirements. If the course appears on the high school transcript, please attach proof that the course was not required for graduation. The course was taken on a college campus. Transfer credit is not granted for college courses taken on high school campuses, even if the instructor is a college professor, and even if the course qualifies for transfer credit at other colleges or universities. The course covered work at a level equal to or greater than introductory-level courses at Reed. For instance, math courses below the calculus level do not transfer, nor do English composition courses. The course was not vocational, technical, or experiential in nature. A grade of C- or better was received in the course. Credit for IB tests will be granted for Higher Level (HL) exams. With very few exceptions, no credit is granted for Standard Level (SL) work. Approval of IB credit varies from department to department; however most of those granting credit require a grade of 5 or higher. Credit for IB exams will apply toward the 30 units of academic credit needed for graduation, but cannot be used to meet any other Reed College requirement. World Cultures: For scores of 5 or higher on the HL exam, two units of credit will be granted. No advanced placement is offered. Social and Cultural Anthropology: For scores of 5 or higher on the HL exam, two units of credit will be granted. No advanced placement is offered. Design Technology: There is no credit or advanced placement granted because this is a design course, not an art course. Film: No credit is awarded for this exam. Visual Arts: For scores of 5 or higher on the HL exam, two units of credit will be granted. No advanced placement is offered. Biology: For grades of 5 or higher on HL exam, 2 units of credit are granted. There is no advanced placement because all biology students should be exposed to the instructors, concepts, and methods in Reed's first-year, team-taught course. Chemistry: For grades of 6 or 7 on the HL exam, 1 unit of credit is granted. Students in this category may obtain placement out of Chem 102 lecture if they receive an A or A- in Chem 101. For grades of 6 or 7 on the SL exam, 1 unit of credit is granted. However no advanced placement opportunity exists for students in this category. Students can only receive two units of credit for some combination of Chem 101, 102, and AP/IB credit. Classical Languages: For grades of 5 or higher on the HL exam, 2 units of credit are granted. Students who took the IB Latin program will need to take the Latin placement exam; students who took the IB Greek program can consult faculty for appropriate placement. Dance: For grades of 5 or higher on the HL exam, 2 units of credit are granted. Placement into studio dance classes will be assessed based on prior experience. Business Management: No credit is awarded for this exam. Economics: For grades of 5 or higher on the HL exam, 2 units of credit are granted. If a student receiving these credits takes Econ 201, 1 of these credits is rescinded. Advanced placement is not granted on the basis of the IB exam, but is determined instead by a placement exam administered by the department before registration in the fall semester. Information Technology in a Global Society: No credit is awarded for this exam. Environmental Systems and Societies: No credit is awarded for this exam. Geography: No credit is awarded for this exam. Global Politics: For grades of 5 or higher on the HL exam, 2 units of credit are granted. History: For grades of 5 or higher on the HL exam, 2 units of credit are granted. Advanced placement is not relevant, as the history program is not sequentially arranged. First-year students may enroll in upper-division (300-level) history courses only by the consent of the instructor. Language and Literature: For scores of 5 or higher on the HL exam, two units of credit will be granted. Lang B Acquisition: For scores of 5 or higher on the HL exam, two units of credit will be granted. Students are expected to take placement exams to determine appropriate course level at Reed. Lang A Literature: For scores of 5 or higher on the HL exam, two units of credit will be granted. Literature and Performance: For scores of 5 or higher on the HL exam, 2 units of credit are awarded. No advanced placement is offered. Mathematical Studies (SL): No credit is awarded. Mathematics (HL): For scores of 5 or higher on the HL exam, 2 units of credit are awarded. A student may not receive credit for both the IB exam and Math 111. Placement is determined in consultation with faculty members. Further Mathematics (HL): For scores of 5 or higher on this HL exam, up to 2 units of credit are awarded towards Math 111 and Math 112; a student who takes Math 111 receives no credit for the IB exam, and the student who skips Math 111 and takes Math 112 receives one credit for this HL exam. Placement is determined in consultation with faculty members. Music: For scores of 5 or higher on the HL exam, 2 units of credit are awarded. However, if a student takes Music 111, one credit will be rescinded. Students can consult faculty for appropriate placement. Philosophy: For scores of 5 or higher on the HL exam, 2 units of credit are awarded. No advanced placement is offered. Psychology: For scores of 5 or higher on the HL exam, 2 units of credit are awarded. No advanced placement is offered. Islamic History: For scores of 5 or higher on the HL exam, 2 units of credit are awarded. Students may fulfill the 100-level Islam course perquisites and may take 300­level Islam courses with instructor consent. World Religions: No credit is awarded. Theatre: For scores of 5 or higher on the HL exam, 2 units of credit are awarded. These units may not be used towards departmental requirements or production work. 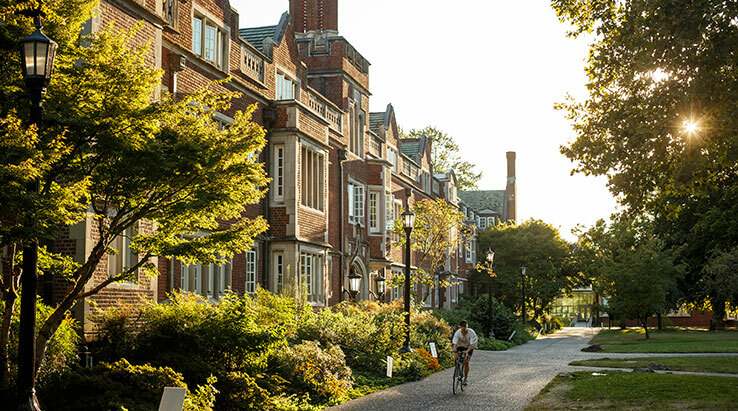 Students who have successfully completed internationally recognized programs that typically surpass the standard American high school curriculum (such as the Abitur and the GCE A-levels) may be eligible for Reed College credit. Given the variety of curricula and quality of work completed within these programs, a student's academic standing will be determined individually. The student applies to Reed as a regular first-year student. Upon matriculation, the student provides full curriculum information to the registrar's office for reference in academic advising. A final credit evaluation is made by the end of the student's first semester at Reed. Depending upon the student's progress at Reed and the extent of work completed beyond the high school curriculum, the college may grant up to one full year's credit. Reed does not grant credit on the basis of the College Level Examination Program (CLEP) or other programs of credit by exam where the exam does not reflect completion of specific course work. The college does not grant academic credit for experiential learning programs. At the beginning of each academic year, some departments (including music, economics, and languages) administer placement exams. These exams assist the departments in placing students at the most appropriate level based on proficiency in the subject. Students do not receive academic units for placing out of a course.